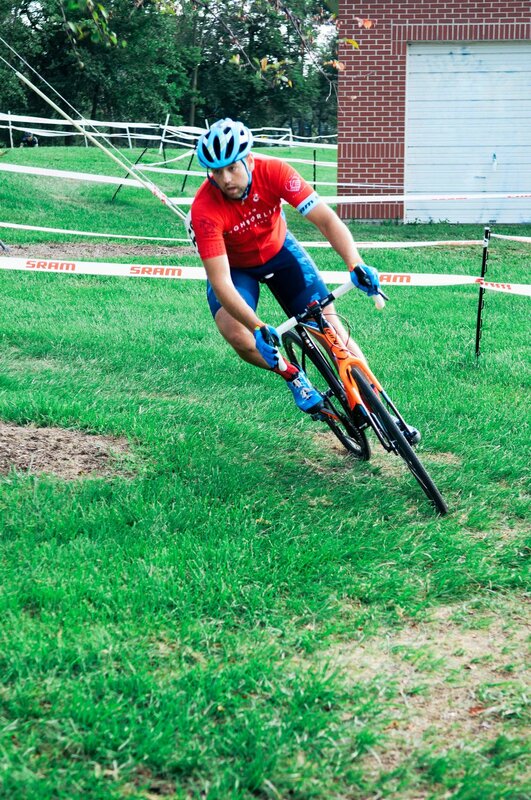 Team NeighborLink Cyclocross (#TNLCX) kicked off its inaugural season this weekend in our hometown of Fort Wayne at the Battle on the Banks 2-day Cyclocross race at Fort Wayne Outfitters. 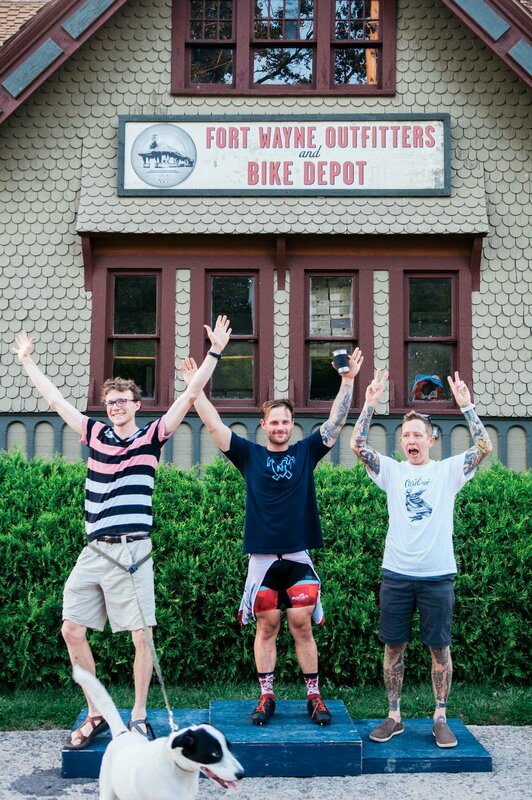 Team NL also played a big role alongside FWO, Chad Tieman from Summit City Bikes/Wagner Research, and Nick Fabini from Cardinal Tattoo. This team of volunteers put in a lot of hours over the past 6 weeks to make this race weekend happen, and it was fantastic. We really hope to make this an annual event as we think it's a fantastic venue and one of the best CX courses around. Stay tuned for next year's details. Races started Saturday evening and continued into the night with the Masters 35+ and Mens 1/2/3 races happening under the lights. Races continued Sunday morning through the early afternoon. Warm temperatures kept cross riders on the limit both days. It's safe to say that we're all hoping the cooler temps come soon. Since this event hasn't happened in the past couple of years, turnout was a bit lower than we hoped, but still really great given this being an in-between season timeframe. Not everyone has switched from road to CX yet. Team NL did extremely well results wise for our first races. Marissa Doner grabbed a couple of 2nd place podiums on the weekend in the womens open class. Sam Berger-Butler grabs two wins in the single-speed category. Closing the podiums out, Ed Messer took third on Saturday night and second in Sunday's Mens 1/2/3 race. 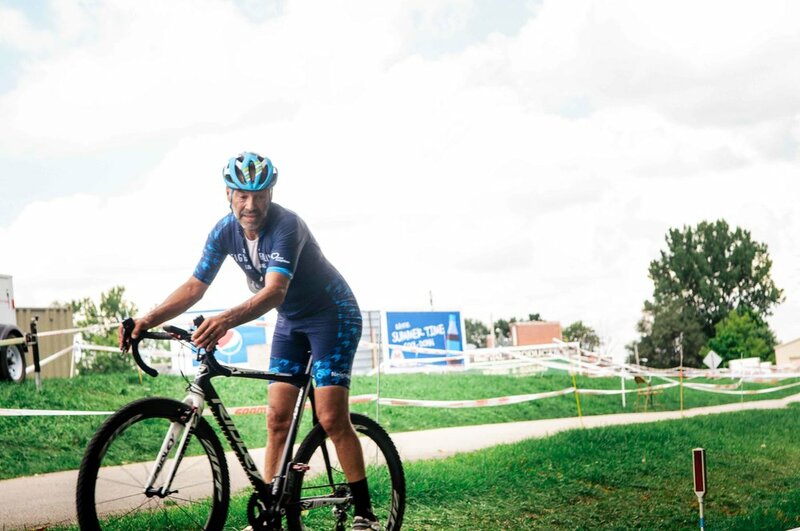 Andrew Hoffman took on his first CX races over the weekend by doing the Mens 4/5 and Masters 35+ races on Saturday, and only doing the Mens 4/5 race on Sunday. Steve Vorderman also raced on Sunday in the Masters 35+ race and had a good first race of the season. All in all, we're extremely excited for the 2016 cyclocross season and seeing what we can do bike racing wise, but in accomplishing our real reason for racing, funding some furnace projects. We'll have our tent up at a lot of Indy Cross & OVCX races this fall. Please come say hello and if you're racing solo, consider our tent your tent and join us. You can find a home with us for the day.